Our team of Virtual Admin Assistants can help you get your bookkeeping to where it needs to be. Sign up for a weekly or monthly service package and relax, safe in the knowledge that Admin Army is getting it done. Not every great businessperson is a qualified accountant – and that’s where we come in. Admin Army also offers training to get you across the line so you can understand and work with the accounting technology that’s right for your business. We prefer Xero, but can work with you on whatever package you choose. Resource-constrained businesses often need to track back and regain control. Admin Army has the bookkeeping muscle to restore order from chaos. We love a bookkeeping challenge and can get your accounting back on track and help you to keep it in line in the future. Did we mention how much your accountant will love us? Admin Army makes processing your annual accounts a breeze. By ensuring your bookkeeping includes the necessary focus on bank reconciliation, we reduce the workload for your accountant at year end. That means less work for them and fewer fees for you: it’s a win-win situation. Not on the list? Give us a call. Admin Army are bookkeeping experts. If you’ve got a job that needs attention: we’ll get it done. Xero makes reconciliation easy, why should I outsource my bookkeeping? We agree – Xero is the best piece of accounting software out there and has revolutionised the way small business owners interact with their financial accounts. That being said, as a small business owner you constantly need to wear a number of hats, and you do not necessarily have the knowledge or time to keep on top of your books. 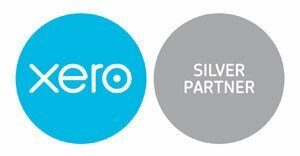 Not only will outsourcing to a Xero Certified Partner like Admin Army, ensure you have less admin to worry about and more time to focus on your business operations, and you will know that you are getting the most out of your monthly subscription as we keep abreast of the latest updates. Do you only support Xero? While we love and recommend Xero, we also have clients who use MYOB and Wave. Are bookkeepers and accountant’s enemies? Not at all! In fact, here at Admin Army we strongly believe in developing a collaborative relationship with our client’s accountants – this provides our clients with the best possible service from their accountant and their bookkeeper, and enables their businesses to flourish! The way we see it, bookkeepers and accountants provide distinctly different services. 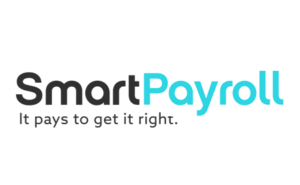 As your bookkeeper, we are responsible for the ongoing maintenance of your general ledger or the processing of your transactions. Your accountant will use the accurate, up-to-date information we compile to provide you with advisory services around your business, including coaching, preparation of year-end financial accounts and tax advice. You can find more about our approach to bookkeepers and accountants working together in this blog. Do you have to come to my premises to take care of my bookkeeping? With all accounting software being cloud-based, there is no need. Everything can be done remotely. Admin Army currently has bookkeeping clients all across New Zealand. Can Admin Army do my taxes? No. While we can assist with your GST returns, Admin Army does not provide our clients with year-end tax preparation services. We are able to prepare a set of books to trial balance, which can then be reviewed by your accountant who will use it to calculate and advise on your tax. We work with some great accountants, so if you’re looking for someone to help with this – get in touch and we can provide you with some recommendations. How big does my business have to be to hire a bookkeeper? Admin Army works with businesses of many sizes – from less than $50k in annual revenue to $3-$5m in annual revenue. We offer tailored packages to suit our clients unique needs. Software integration and conversions (connecting add-on’s to Xero and also other accounting software to Xero conversions). Is my accounting software included in your fees? No, we recommend that all of our clients hold their own licenses to their accounting software. This means that you are in control of one of your most vital business assets. Our fees all exclude accounting software, with the exception of our bookkeeping packages that include Receipt Stash (optical character reader, OCR) software to assist with data entry. Do you work with all accountants or just some? We’re accountant agnostic. That is, we believe that all small businesses should have an accountant, but we’re not going to tell you who it should be (unless you’re looking for a great recommendation). So, with this in mind, your accountant is our accountant and we’ll be happy to work alongside them to help your business grow! Can you help me get set up on Xero? Absolutely! Whether you’ve never used accounting software before or you’re looking to convert to Xero from another provider, we can help get you set up and running. We’ll also provide some top-notch Xero training to make sure you’re getting the most out of your subscription. I’M READY TO HEAR MORE ABOUT HOW ADMIN ARMY CAN HELP ME WITH BOOKKEEPING! Want to make sure you’re getting your small business bookkeeping right? Download our handy Checklist. “Thank you So much Irene and the Admin Army team! !